Doing something for our fellow Australians! We have all heard about the devastation and damage which recent floods in Queensland caused to the communities there. This has been heart-touching. Some of us from Hills Shire have come around and decided to do something about it to help rebuild lives. 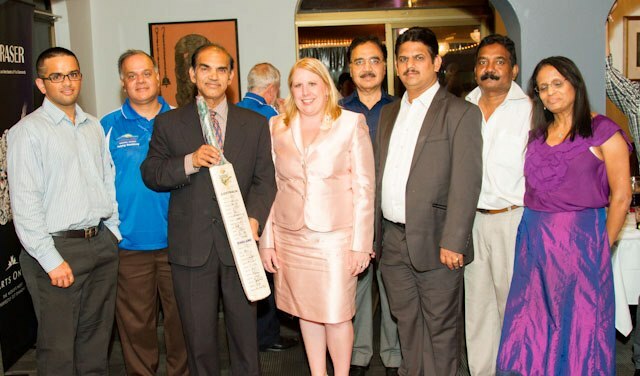 Gareth Mccray, Rajiv Chaudhri, Sanjeev Sharma, Adj/Prof Jim Taggart, Clr Jeff Lowe and myself in addition to Mayor Byrne and many others have been meeting on a weekly basis to organise a fund raising event for them. 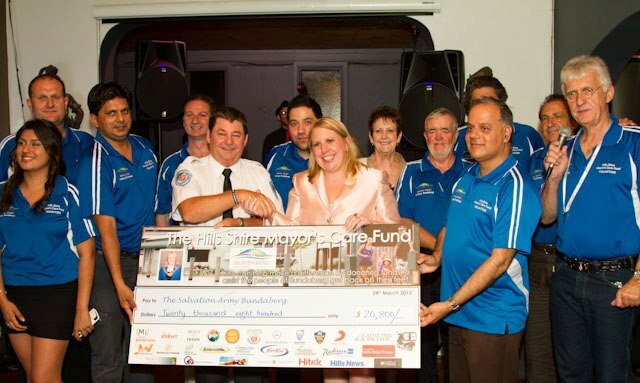 We have the full support from our able and compassionate Mayor from Hills Shire, Michelle Byrne, in addition to the support from Castle Hill RSL, local businesses and local newspapers. 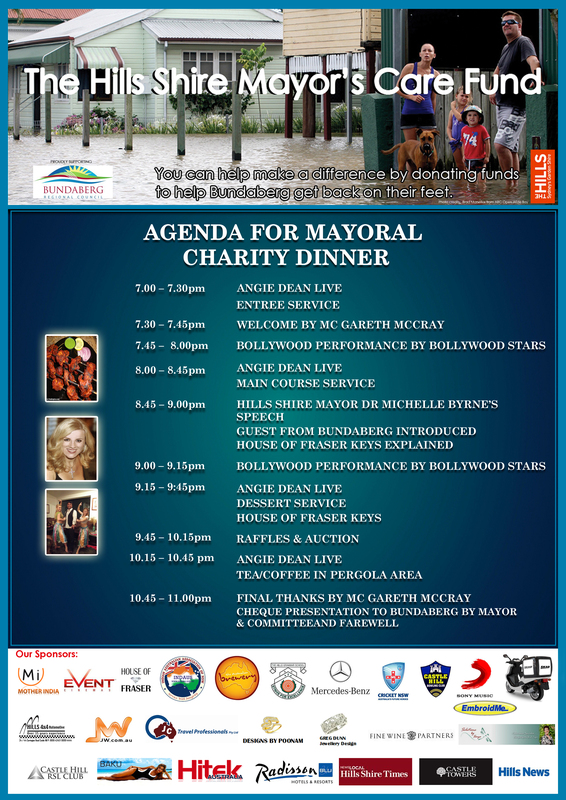 The Hills Shire Mayor’s Care fund, under the leadership of Mayor, Michelle Byrne, is organising an event which starts in the day time with markets, buffet lunch followed by a gala charity dinner with entertainment, raffle draw and auctions of various articles. These items include a Cricket bat signed by Australian national team, a cricket bat signed by Ricky Ponting, jewellery items and so many more. It is simply amazing to see the generosity from Australians for a tragedy like floods in Qld. We are more than 70% sold out and only few seats are left. We would love one & all to join us either by visiting the markets/buffet lunch in the day time and/or joining us for the gala dinner. I have already had positive response from heaps of people and of course, am looking for the support from more. After all, this is a dinner for a noble cause! To book a seat for the dinner, please contact me or any of the committee members. It is about time that we do think about our fellow Australians and do something for them. After all, Australia is our home and we all are Australians!